As much as I adore my beloved Gelaskin stickers, my iPhone has been dropped enough times that I really needed a bit more protection. 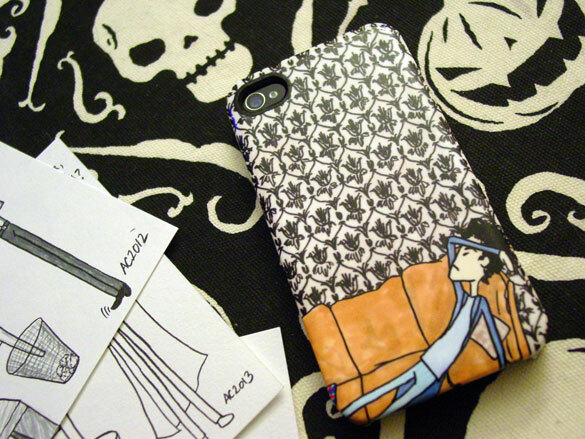 Gelaskin has again come to the rescue with my lovely custom hardcase, featuring my drawing of Sherlock in all his glorious ennui. There’s even a secret hedgehog.